promote environments enablers of autonomy and independence. One of the main strengths of the National Program for the Health of the Older People is that it was developed based on the needs, comments and suggestions reported by hundreds of Portuguese older people who were invited to participate in forums and focus groups organized at the regional and local level. By this way, the target group had a huge influence in its structure in a sense that the programme’s goals were established according to the needs and difficulties reported by this age group. This programme represented a legal norm and proposed a proactive and innovative approach of ageing based on the assumption “Think global, act local” which means that it gave general guidelines that must be adapted to each local reality and specific needs. 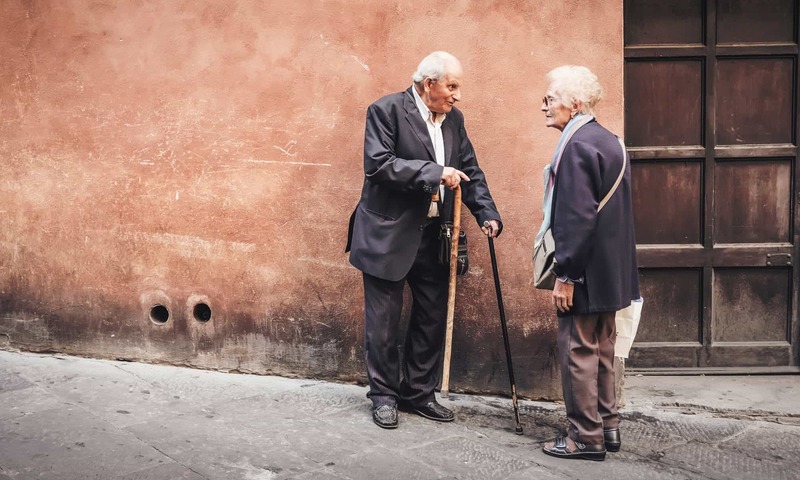 In this way, the programme respects the principle of heterogeneity as a feature inherent to the group of older people, forcing differentiated and tailored interventions to each specific situation. This general assumption is highlighted by the words of Dr. Maria João Quintela – Assessor to the General Directorate of Health and the main responsible for the development of this programme: “…it is not possible to establish the same pattern, nor services or logic of needs, or logic of resources organization, to a place from the interior of Portugal very unpopulated or an area of an urban center more populated, as Lisbon”. The local and regional application of the general guidelines presented in this programme were from the responsibility of the services in regional health authorities who developed plans of action based not only in these guidelines but also in the local characteristics and existing resources. Interviews of the practioners in the field by H4A researchers, under the activities of the European project “Social innovation for healthy and active ageing” to evaluate the implementation of this programme, revealed that it still is a very significant reference in interventions for older people across many societal domains. Also, international comparisons consider this programme as a reference to follow in this field. YM. Luisa Lima is full professor of social psychology at ISCTE-IUL since 2010. She graduated in Psychology at the University of Lisbon (1982), did her PhD (1994) and her aggregation (2004) in Environmental Social Psychology at ISCTE. Her research interests are on health and environmental social psychology. Her research lines include (a) the study of ageism and its health consequences – with Sibila Marques and Melanie Vauclair; (b) the focus on risk perception and communication, in particular associated with food – with Cristina Godinho, Rui Gaspar and João Carvalho; (c) the analysis of the environmental factors that promote or deteriorate health and well-being – with Claudia Andrade, Sibila Marques and Sílvia Luis; (d) the analysis of the group factors associated with health promotion – with Sónia Bernardes, Cristina Camilo and Sabina Pereira. She coordinates the Master in Social Psychology of Health. Carla Moleiro is assistant professor of clinical psychology at ISCTE-IUL since 2006. She graduated in Psychology at the University of Lisbon (1997), and completer her Masters (2001) and PhD in Clinical Psychology (2003) at the University of California Santa Barbara, USA. Her research interests are on clinical work with clients of migrant backgrounds, and from ethnic, religious and sexual minorities (i.e. LGBT) - with Nuno Pinto, Sandra Roberto and Jaclin Freire. She is the president of the Portuguese Association of Transcultural Psychology and Psychiatry. She is also a member of the Task Force of EFPA on Cultural and Ethnic Diversity. Her research lines include the study of individual, social and programmatic vulnerability based on racial and ethnic background, gender and sexual orientation and its health consequences, in particular with regard to the development of cultural and individual diversity competences among health professionals. Special difficulties in the mental health of children and adolescents are also of concern - with Marta Gonçalves. Another research line includes research on patient involvement in health care services – with Celia Sales. She is a researcher at CIS-IUL, where she is a member of the board and Scientific Commission and coordinates the H4A group. She teaches psychopathology, clinical and health psychology – with Sonia Bernardes; and courses in the Masters of Psychology of Intercultural Relations – with Melanie Vauclair; and the Master in Social Psychology of Health – with Luisa Lima, Sibila Marques, and Claudia Andrade.